You guessed it!!! 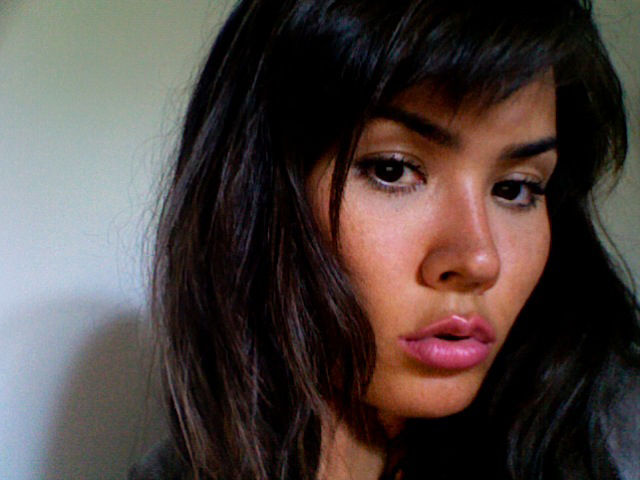 Doll Pink lipgloss by NYX is my all time favorite easy FIX!!! I love this color babe its really looks nice on you! That lip color suits you so well, :) Looks great! that color looks so beautiful on you. I bought a wet n' wild lipstick that is similar in color but I can't pull it off haha. gorgeous color, perfect amount of pink! Love that color, very fun! such a pretty color on you! I'm ordering this one next! lol Your bone structure is amazing!! what a great color! love it on your skintone especially! You are totally gorgeous and that lip color looks amazing with your skintone. THIS is the colour I want! it's great on you!!! This is gorgeous on you! I want it! I love that colour! Gorgeous. As soon as I am done with my P10P, I will be adding this to my collection. Great photos. WOWW!! That pink is ssoo pretty..nd i love those animal prints on ur nails!! You look great! I must have that lipgloss lol! P.S. I nominated/awarded you for "One Lovely Blogger Award" ! Amen! Bright lips can brighten a simple or dull outfit. But you look hot in anything, even with a plain grey t :) And NYX Doll Pink is actually my top 3 favorite NYX lipgloss! It's so creamy and pigmented..LOVE! The color look so Beautiful on you i like it you are soo beautiful ! Lovely colour and I love your nails! ooh it's such a pretty color on you! This color looks amazing on you.....I need it in my life! !